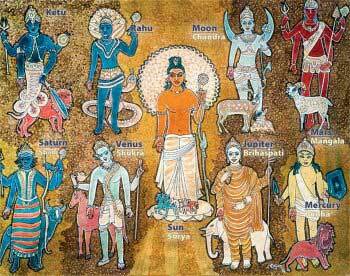 Family and home are very important to Taurus. Taurus is very intelligent and has a good sense of humor, which makes him an excellent person to socialize. People born under this sign, are very loyal and always willing to lend a hand of friendship. In fact, many of their friendships begin in childhood. Taurus loves kids and appreciates the time spent with family, so he will be always present in all family events and gatherings. Taurus enjoys hosting house parties and family gatherings. Stability is the key word for this zodiac sign. Taurus loves money and he will work hard in order to earn more. 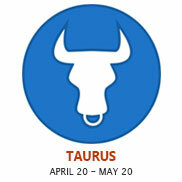 At work, Taurus is reliable, hard working, patient and thorough. When focused on some project will firmly stick to it, no matter what. The own sense of value is a huge motivation for Taurus, as well as the desire for rewards. They like to be surrounded by material pleasures, good food and luxury, so their job is very important. It's a way of achieving a goal, and they are aware of it. They are excellent at managing their money, so all their bills will be paid on time, but they will also manage to save some money. 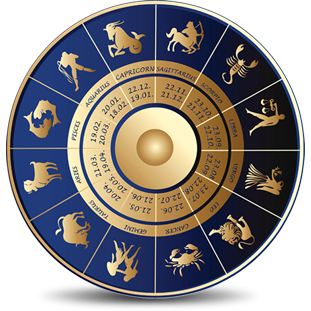 Occupations that match this strong zodiac sign are agriculture, banking, medicine, education and construction. If you like strong, loyal, dependable and generous men, you’ll love men born under the Taurus star sign. Taurus men are trustworthy, independent, patient and very loyal. One of the most negative of the Taurus characteristics is their extreme stubbornness. If you were thinking of dropping hints and suggestive looks and hoping he would get the message, think again. The Taurus man is slow on the uptake, so you will probably have to ask him out yourself. The Taurus man dislikes artificiality of any kind, so when complimenting him, it is probably the best to restrict your comments to genuine statements, rather than going over the top. Be prepared to take your time winning his trust. He can be a person of very few words, so there is always a possibility that you might feel you’re not getting through to him. If you want to seduce a woman that is born under the Taurus zodiac sign, then you will need to appeal to her sense of romance. Taurus women want to be courted more than seduced, which means that they will not be quick to fall into bed with men. The Taurus personality is one of the most easily recognizable of the zodiac. Positive Taurus traits include reliability, practicality, ambition, sensuality, and independence. However, they also have some negative traits and can be very lazy, stubborn, materialistic and possessive at times. The Taurus woman longs for true love and security. It is very unlikely that she will give into her sexual desire quickly, so if you really want to be with her you will need to invest time and energy into making her feel comfortable. However, once she falls in love, she falls hard and will be loyal and affectionate. She will stand by her partner for as long as he is faithful to her. The Taurus woman has an eye for beauty and appreciates the fine things in life, so if you want to seduce her, you can always take her to a nice restaurant. They enjoy nice things, so they will be a captive audience if you decide to show off any expensive or luxury items you own. Keep in mind that the Taurus woman does not like to feel rushed when dating, so allow her to take her time. Once she feels comfortable and secure with you, she will allow you to seduce her fully.